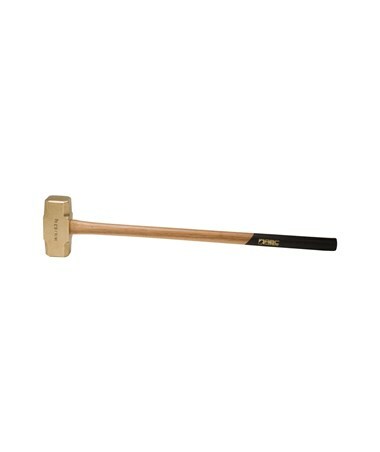 ABC’s 14 lb Brass Hammer gives you dependability and power for all your metalworking needs. At 14 lb, this hammer strikes a powerful blow without marring steel. Brass yields on impact, preventing work damage. Try it for automotive and gunsmithing work. 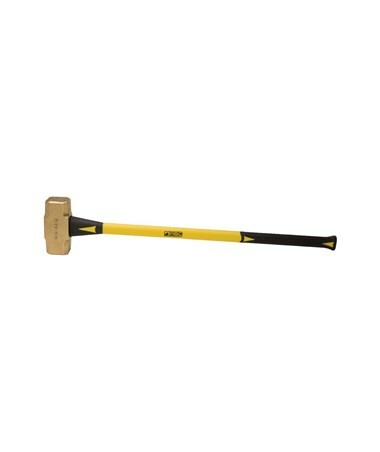 Its non-sparking qualities make this hammer safe for use in potentially explosive situations like the oil and gas industries. The head is double-faced for extra balance, and to double your striking surface. We offer two handle options. 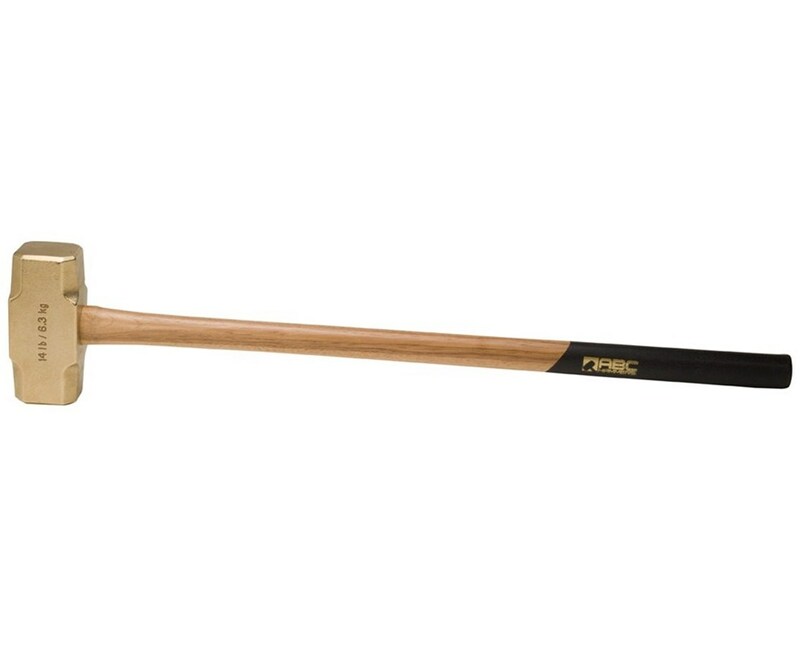 A classic 32” wood handle in hickory offers a comfortable tapered shape and a preservative urethane sealer. Includes a textured non-slip grip for extra security. 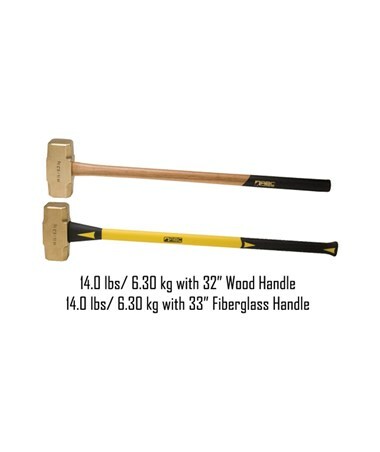 A cushioned 33” fiberglass handle in high-visibility yellow offers a shoulder protecting design. Ergonomic cushion grips make it easy on your hands. Have confidence in knowing that the handle won’t detach. ABC’s unique wedge design ensures that hammerhead and handle are permanently secured. Unlike typical hammers, ABC uses brass wedges, eliminating any possible source of sparking in its brass hammers. This product needs no specialized care or maintenance and is corrosion resistant. ABC stands behind its products with a lifetime manufacturer’s warranty. Made in the USA.